Another good decision by Nepal’s court. The challenge will be implementing it. 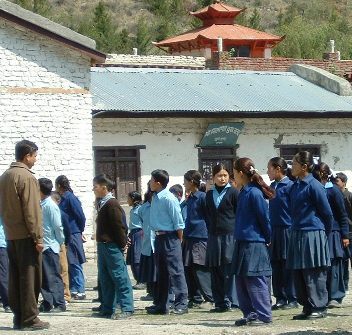 KATHMANDU: The Supreme Court has directed the government to include human rights education in school and college syllabi to combat discrimination and violence against women. “Include core human rights issues in school and college syllabus and launch awareness programmes to combat violence and discrimination against women,” a division bench of justices Bala Ram KC and Bharat Raj Upreti said in a verdict today, responding to a Public Interest Litigation filed by advocate Jyoti Lamsal Poudel three years ago. Observing that laws and policies meant to eliminate violence against women had gone unimplemented, the bench argued that stress should be on the implementation of laws and policies. It said that collective efforts are a must for the protection of women’s rights. The bench told authorities—the Prime Minister’s Office and the Cabinet, Ministry of Women, Children and Social Welfare, Ministry of Law and Justice and the Ministry of Home Affairs—to take initiatives for the protection of women’s rights, stressing the use of media in the crusade for the protection of their rights. “Partnership with NGOs will go a long way in eliminating discrimination and violence against women,” the bench observed. Expressing dissatisfaction over the weak implementation of the Convention on Elimination All Forms of Discrimination Against Women (CEDAW) even two decades after its ratification, the apex court issued a five-point directive meant to fight violence against women. The apex court told the government to strictly implement the CEDAW by promulgating an Act criminalising discrimination and violence against women. Stating that social perception treating men as superior compared to women is a major problem, the bench called on the government to address this issue systematically. The apex court also emphasised the need to impart vocational training to women and provide them jobs for their development, adding that such measures will help eliminate violence and discrimination against women. The bench also told authorities concerned to do their bit to make sure that women do not abort their studies. This entry was posted in Human rights, Nepal by martylogan. Bookmark the permalink.